Although Arizona has the ideal weather conditions to live in and has beautiful landscape that is appealing to view on most occasions, there are several pests that are likely to ruin your admiration of the area you live in. Scorpions are among the worst looking, most terrifying, and most difficult creatures to get rid of. Although you may think the nightmare ends with simple scorpions, there are a lot more creatures that look and behave like scorpions, but are in reality, much more terrifying and ones that you will want to safeguard your home against. Here are three of these pests that you should consider asking your pest service about. The first of these three horrible creatures is the whip scorpion. Seemingly a creation of your deepest fears and literal incarnations of nightmares, the whip scorpion can be from three eighths of an inch long to three inches long, making these arachnids both terrifying and hauntingly large. Pray that you never come across these horrendous things. With extremely large pincers protruding from the front of their body, and eight spindly legs, they use their power and size to feast on other insects that may cross their paths, effectively murdering them in cold blood. Although it does not have a stinger on its tail, it is commonly confused with regular bark scorpions. Their tail is meant mainly for sensor needs and intimidating even the largest of grown men. Although coming across this kind of scorpion is uncommon and may startle you into an early grave, they are fairly harmless. Their bite is akin to that of a non-venomous spider and their defense mechanism utilizes an acidic mist sprayed from the tail that is unpleasant to smell. If you do find this scorpion in your home or around your property, contact your Mesa pest control service to send it back to the land of nightmares and horrible things. The Camel Spider, often called the wind scorpion, is another horrifyingly common pest found in Arizona and other unfortunate southwestern states. Although it is an arachnid, and looks similar to scorpions, it is not a scorpion. And it isn’t venomous either, which is good news for us. The bad news is that they can run up to ten miles per hour so as to catch their insect prey. So if you encounter one of these in your home, you better move fast, or you will have to deal with a large, misshapen bite. It also has pincers that can pinch your skin. It is bad enough thinking about being bitten by one of these terrifying minions of the devil, let alone thinking about it being close enough to your person to do so. Measuring an inch and a half in average length, they are a light brown color, which makes them difficult to spot if there is a large expanse of dirt around your home or if you have neutral color tones inside your home. These aggressive beasts are prone to violence, so watch your back and make sure you have weapons to defend yourself against them. Or just call your pest service. Finally, and thankfully, the last kind of scorpion you may encounter is the Pseudoscorpion. This is commonly referred to as a book scorpion because they can usually be found in rooms that are dusty and filled with books. Although this is not the only place they reside, they can also be found in tree back, leaf piles, cracks of rocks, and soil. Thankfully, they are not as large as the previous scorpions discussed, as they measure to about three millimeters in length. These little guys are quite beneficial to us as well. They will feed on ants, mites, beetles, and clothing moths, and they do not have a tail or a stinger. This is great news for us. But they are also extremely small, so they are rarely seen. They are pear shaped, yellowish dark brown creatures that dwell in your homes unseen, so make sure you have your pest control service check the area. For the proper maintenance and care of these nightmarish creatures, contact Varsity Termite and Pest Control, where we can help you get rid of the most terrifying pests that lurk in and around your home. Don’t be taken by surprise anymore. The last thing you want to do is walk into your kitchen and find a devilish beast that could consume your house pets. 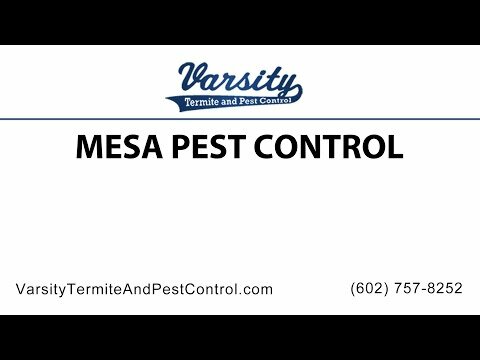 For more information about our excellent pest control services, contact Varsity Termite and Pest Control today.